Nothing is more anticipated and frustrating as your baby’s first foods, especially when they are adamant that nothing other than ‘the usual’ is going into their mouth. So, what is a tired mom to do when they want their kids to grow up being acquainted with more than chicken nuggets and macaroni and cheese? Thankfully, there are some great tips available that help in getting kids to explore a range of different foods from a young age. It may not be shocking to hear that about 50% of parents think of their toddlers as picky eaters, according to What Moms Love. The best bet is to begin following these steps as early as possible so that the first few months of feeding doesn’t set the stage for a tough act as toddlers. All hope is not lost if you already have a picky eater on your hands, you can always try these ideas on them to encourage culinary exploration. It’s protocol by most moms to start their babies on bland cereal and breastmilk (or formula), and then gradually move to purees, such as banana, sweet potato, and maybe a little avocado. While there is nothing wrong with these foods, they don’t foster adventurous eaters. It’s fine if you want to start with these, but don’t be afraid to quickly try more flavors, colors, and even herbs! New research is saying that the strict food introductions of yesteryear are not necessary, and “The more flavorful the food, the more likely it will help your little one to develop Nutritional Intelligence,” boasts Plum Organics, the popular baby food company. It is important for children to understand that food is always going to be the exact same size and shape every time. Different textures are also a great way to introduce foods to little ones. The squish of a banana, the grittiness of a pear, and the grit of broccoli all teach babies to accept different sensations in the mouth, along with training them to chew their food when certain textures are present. Babies are instinctively explorative, digging their hands into anything within reach, like your hair or earrings. This inquisitive nature doesn’t just stop because what was put in front of them has the potential to make a mess. Be prepared for your little one to poke, drop, taste, and spill whatever they are trying out- as they should- and get a bib and splat mat ready. Don’t expect your baby to openly embrace a bed of kale and sweet potatoes on the first go around. You may have a chef in training that loves bold flavors, but chances are you are going to get the food you made with a labor of love thrown right back at you the first few times- or twenty. This does not mean they won’t like it tomorrow. 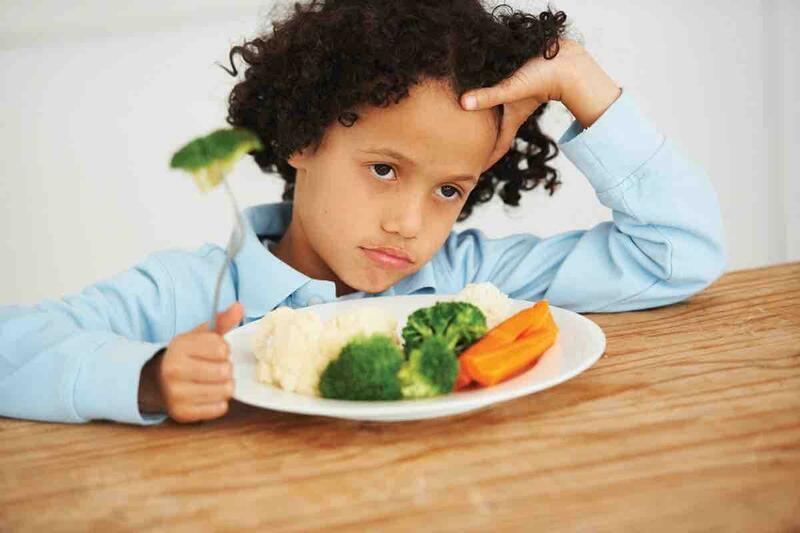 A study by Andrea Maier of the University of Burgundy “explored whether kids who had already expressed a dislike for a vegetable could develop a taste for it,” according to Quartz. The average age of participants for the study was 7 months old, and it was discovered that babies could, in fact, grow to like a food they previously had shown distaste for by reintroducing it several times. Parents can often get so caught up in preparing the perfect meals for their children that they are paying little attention to what they are eating themselves. Kids pick up your habits quickly. If you are eating potato chips while you are trying to get your little one to experiment with puréed artichokes, you may have a long road ahead. Fill your plate with colorful fruits and vegetables, snacking at the same time as your baby. This way they will know what healthy eating looks like, and will follow in your footsteps. Remember to avoid difficult times when trying to introduce a new food to your baby. These include when they are tired, overstimulated, or have a dirty diaper. Having multiple children, or a busy schedule, leaves parents feeling flustered during the baby’s feedings, resulting in quick fixes like packaged food. Find a time to sit with your baby when the chaos has settled from meal time, giving them a calm environment for them to really enjoy their learning experience with food. Discovering what foods they love, and textures they find interesting is an exciting milestone that doesn’t have to be full of trials. Have fun with the experimentations, and be ready to feel pride when your child dives right into the celeriac and potato rostis your friends serve at a dinner party. Please let us know in the comments section if you have a child that is an adventurous eater which you contribute to being exposed to various foods as a baby.